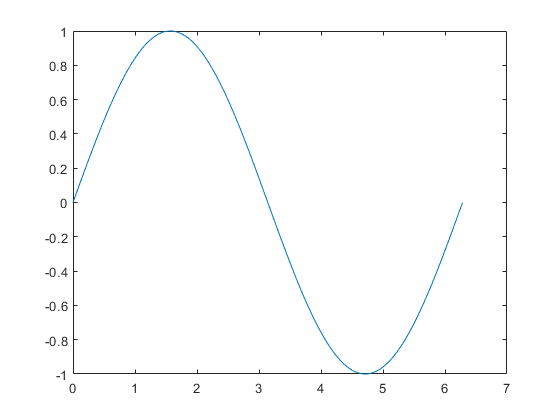 This example shows how to create 2-D line plots in MATLAB using the plot function. Create a regularly-spaced vector x from 0 to 2*pi using pi/100 as the increment between elements. 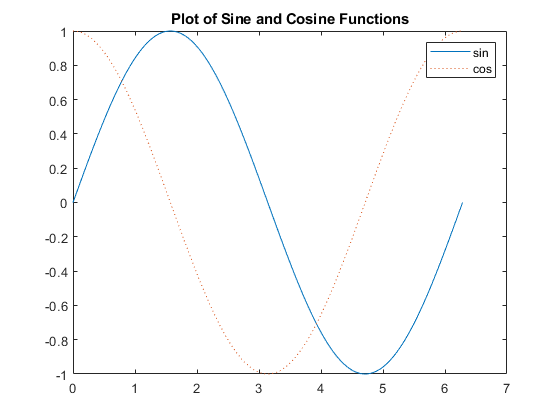 Calculate sine for each value in x. Use the figure command to create a new figure and plot command to display result. Label the axes and add a title so that viewers understand the purpose of your graph. 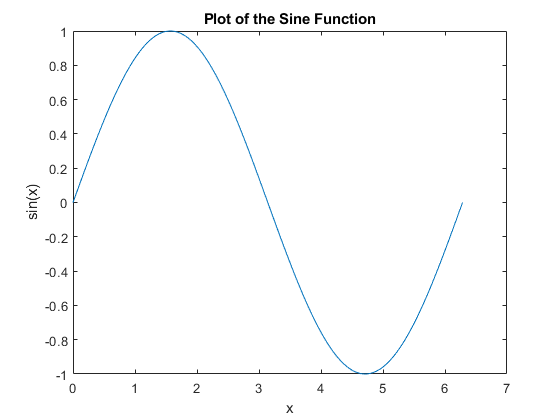 You can plot the same variables with specified line style, color, and marker (A marker is a symbol that appears at each plotted data point, such as a +, o, or *). Use 'help plot' to learn more about line specification. 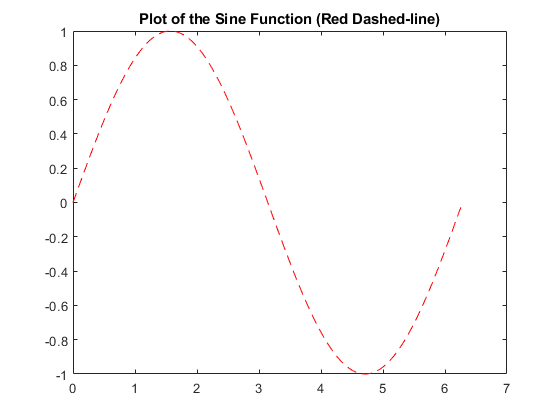 In this example, the 'r--' string is a red dashed-line specification. To add plots to an existing figure, use hold. Use 'hold off' to stop plotting on top of the existing figure.